The Deli's Stomp Box Exhibit at CMJ - Bring your guitars!!! The Deli and Delicious Audio are super proud to announce the first StompBox Exhibit at CMJ, a free event hosted at The Living Room and Ludlow Guitars on Ludlow Street in NYC, during the 2 busiest days of the CMJ Music Marathon. Exhibitors include Moog, TC Electronic, Digitech, T-Rex, Hardwire, Eventide, Line 6, Pigtronix, and many others - MORE INFO HERE. 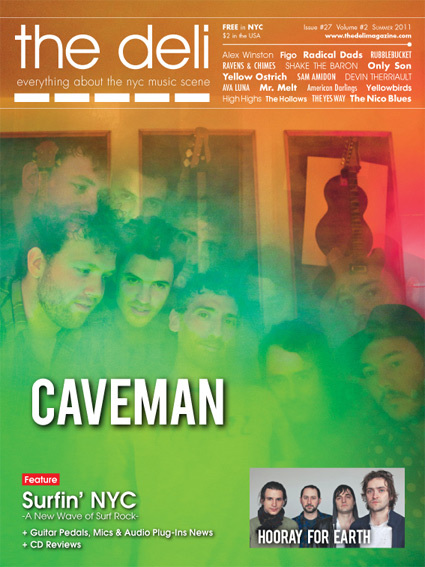 Get your Video projected at The Deli's CMJ parties in NYC + get a print article! 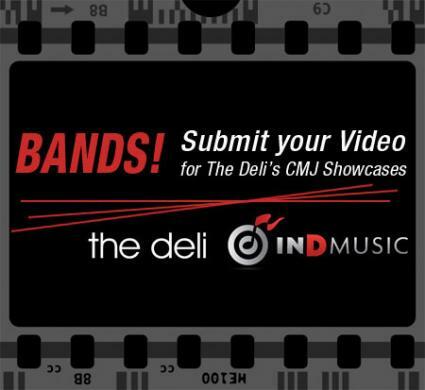 INDMUSIC and The Deli Magazine are teaming up to find the best unsigned and independent music videos to be featured between sets during their Lower East Side showcases at this year's CMJ Music Marathon (October 18-22, 2011). If your band has a video, we want to see it! We're looking for cool concepts, stunning visual aesthetics, and, of course, great tunes! On top of this, the videos and music will be reviewed in print in the upcoming fall issue of The Deli - heavily distributed before and during the CMJ Music Marathon. Working under the name Bird of Youth, music journalist Beth Wawerna earlier this year has released “Defender,” an album that combines the guitar-driven pop sounds of 90s rock with Wawerna's clever lyrics and authoritative delivery. Assembling a quality cast of friends and collaborators, Bird of Youth showcase the process in which the critic becomes the performer, with satisfying results. 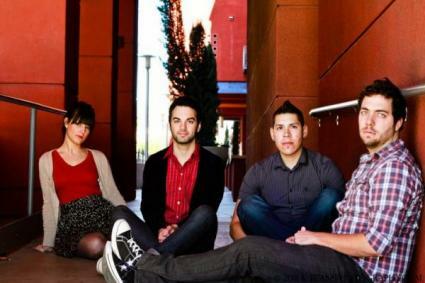 - See Bird of Youth live at Union Hall on September 29, read Jason Bertone's Q&A with Beth here. 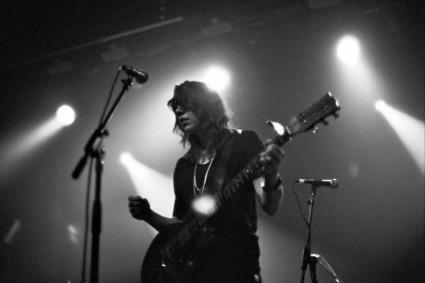 Mp3: Bird of Youth: "Bombs Away, She's Here to Stay"
Caveman on the cover of The Deli! Read issue #27 online in pdf format! Click on the cover (or HERE) to get to the pdf file - enjoy!